Western dressage is growing quickly…but why? Here are some of the reasons I discovered when I was getting started. 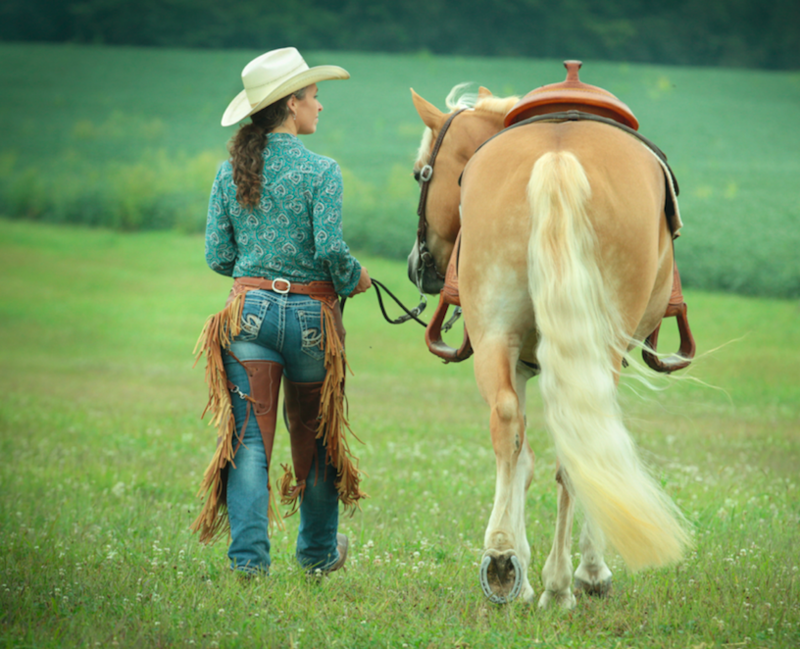 You can use the horse and the tack you already own. 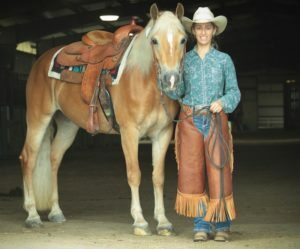 Most western saddles and many western bridles are allowed. For the most up to date rules, you should always check the rulebook which you can find on the Western Dressage Association website. There are levels for every horse and rider combo. If you are more comfortable at the walk and trot, there is a test for you. If you have a gaited horse you are welcome to show. If you’ve never ridden dressage or you’ve competed for years in dressage and just switched to western, there’s a class for you. You can have someone read the test to you as you show! The arena is well marked. Although the tests may seem long when you first read them, keep in mind you can have someone read the next part of the pattern to you in real time. Also, if you do make a mistake on the pattern the judge will call you over, explain your error, and let you start again. You know what time you’re going to show!!! This is directly borrowed from the dressage world and it is BRILLIANT! Although it does require you to enter ahead of time, in return you know exactly what time you show. If it says 12:06 and the show is running early you may be given the option to ride early but you can decline. The shows also do their best to build in short breaks that can be cut to get a show running on time if something slows things down. Based on the shows I’ve been to, the ride times are very accurate. A screen shot of one of my show days showing the times I show! You compete individually, against a standard, allowing you to grow at your own pace. Each rider shows individually in the arena. This allows the judge to give you undivided attention. In addition, the judge has a scribe seated next to them so they don’t have to look down to take their notes. The judge sees everything…the good and the challenging. Then this is converted into a score. Although your class will be placed with a specific winner, it is easy to collect your own score sheets (called tests) and use them for your own personal records. 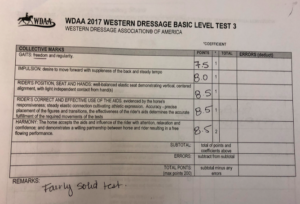 As you progress through the show season you can see your progress reflected in your test results. The number system gives you feedback. The ‘tests’ guide you on how to improve. Each part of your ride will be judged against a standard and assigned a specific number that reflects the performance. If your entry was considered ‘satisfactory’ it will be scored a 6 out of 10. Each part of the test is given not only a number score but also a written comment from the judge. The feedback not only reflects your ride but guides you on what you can improve in the future to improve your score. You get to hang out with other horse people and talk about horses! Horse shows are a great place to meet other horse people. 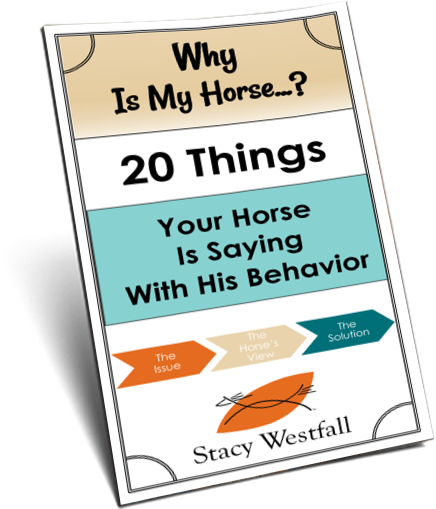 If you need a conversation starter simply ask another rider about their horse and enjoy the ride! You know your pattern ahead of time. The score and the comment both give you feedback. Judges work hard to become judges. They attend schools to learn the standards and expectations. They apprentice under other judges who evaluate their performance. They work their way up through a ranking system to become even more educated and valuable to the shows and riders they serve. They sit for hours and evaluate ride after ride giving hundreds of scores and making hundreds of comments IN A DAY! 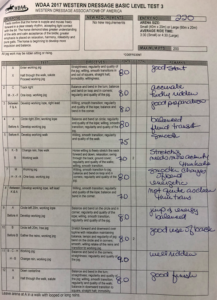 In my estimate, the feedback they give on your test contains at least the value of whatever you last paid for a riding lesson. If you are interested in learning more about western dressage I suggest doing a google search for shows or clinics in your state. We have a group that does Western dressage up here at medicine hat Alberta. We love it. 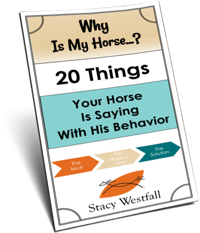 Left out the most important reason – It improves your horses. Now I’m up to 12! I hope that it’ll stay such a positive environment for you guys. I’ve been showing for many years in regular dressage here in Italy and so many judges are corrupted or look down on you if your horse isn’t exactly a “supposed to be dressage horse” with fancy movements. I wish you all a show season full personal growth and fun. I love the fact that you can start walk/trot and then move up at your own pace. A lot less pressure! I think the reason I have never even considered Dressage, 1. I own a little QH, 2. Scared off by the complexity of the whole look of it. 3. Have never had it explained as well as you have in your journey, only to realize it’s totally possible for me as I have a horse with an excellent level of skill. 4. The arrogance surrounding the English Dressage even at the lowest levels in the local riding schools. Number 4. And having the wrong type of horse, to me have been the biggies!